The former British No.1 revealed she repeatedly gets stopped by members of the public believing she’s the Duchess of Sussex. Heather, 26, recalled a time she was shopping for make-up when someone approached her to ask if she was the Suits actress. The tennis star told Express.co.uk: “So I was in Birmingham shopping a few months ago and someone stopped me. 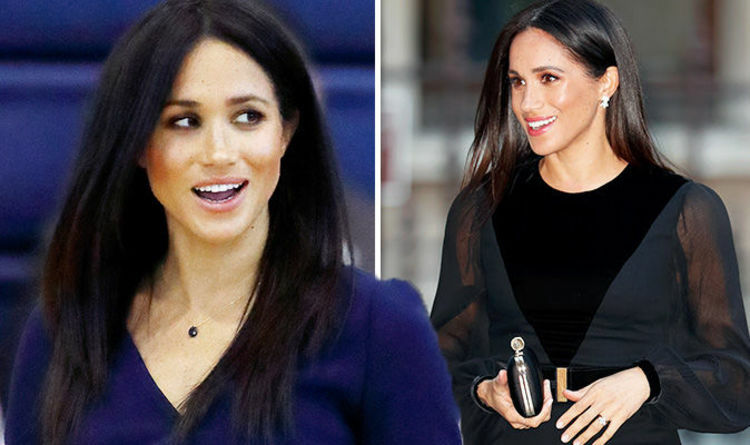 Heather admitted she’s shocked people think she resembles Meghan Markle but said she’s happy with the connection. The tennis player revealed she also gets mistaken for Manchester Untied player Jesse Lingard. “I also get Jesse Lingard, which I’m not as pleased about,” she said. Now the major tennis tournaments are over, Heather has been busy focusing on being a brand ambassador for Always. In celebration of its new Platinum pad, Heather has spoken out on why using the sanitary product works well for her. She said: “I’m always active and wouldn’t have any fear leaking anywhere which is important to me because I’m always on the court playing. “It’s got this new highly absorbing core which is important when you have those heavy days. Meanwhile, Meghan Markle has been causing a stir across the country as people were left in shock she shut her own car door yesterday. The American beauty joined guests at the opening of an exhibition of works from the Oceania region, at the Royal Academy of Arts in London. As Meghan arrived at her first solo event, the car door was opened for her and she got out of the vehicle. Making her way inside the venue, Meghan turned around and swiftly shut the car door. Royals generally have their car doors opened and closed by members of the staff so her actions caused social media users to call the Duchess of Sussex “humble”. Heather Watson is the new ambassador for Always Platinum. Always Platinum is the No. 1 pad for comfort and protection within the Always Ultra range.